Family owned and operated with 18 years experience in DFW. The health and safety of your family is our first priority when we perform our services. Our goal is to provide a service of the highest quality in an efficient manner. For your protection and ours, we are licensed and insured. To better serve our customers, we always stay up-to-date with all the latest trends and techniques in the pest control field. Call today with any of your pest control issues so that we may have the opportunity to resolve them expeditiously. Technician was on time and prepared. Introduced himself and went over what he was going to do and how long it would take. Let us know that we had no issues but was available to come back at anytime if we needed him. He even took off his shoes when coming into the house without being asked too! Awesome customer service. Always timely and provide reminders. Excellent service - fair pricing! Highly recommend. We are so impressed with Pest Solutions of North Texas. We were able to get a same day appointment. Mike came out and provided us with a wonderful customer experience, he was thorough, knowledgeable, and pleasant. I would highly recommend this company for your pest needs. Thanks so much! We are thankful to have you ! The technician, Mike was very professional. He spent a lot of time making sure that everything was done properly and then took time to explain all that he had done. He was on time for the appointment and he left a great impression. I am so happy that I chose Pest Solutions of North Texas. We were so happy with the treatment we received! Not just spraying inside the house but the brushing and treatments on my eaves, the granules that were thrown around the house foundation and the spray treatment on the outside around the foundation. He even spot treated the areas where we’ve recently seen carpenter ants! The service was so great that we signed up for the yearly service! Thank you Carl for the great review, we are so happy to have you as a customer. Please let us know if you need anything! Awesome company!!! Very prompt and friendly. Great service. Very responsive to our concerns and need. Pest Solutions of North Texas is so accommodating, helpful, and quick response. They truly want to help your family feel safe in your home. We are thankful for their reliable service. Thank you Jennifer for the great review, we appreciate you! Awesome people who do tremendous work! Couldn’t be happier! They provide good service and where available when needed. Really appreciate the great service and the honest pricing. Keep up the great work! Awesome service and definitely a customer-first focus! Mike is a great guy who explained everything so clearly about my situation. He also gave me great advice about my new home and in general we had some great chats! I am recommending his services to everyone I know! 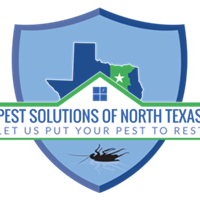 I have used Pest Solutions of North Texas for over a year. The team is very professional and kind. If you use Pest Solutions you will be very pleased. Thank you so much, we appreciate you! I called Pest Solutions of N Tx for rodent control. He came the next day, found and blocked entry points and set traps. He was very thorough. I signed up for their very reasonable quarterly service plan which includes insects/bugs as well as rodents. Also I can call any time there is a problem and they will treat for no extra charge. Very courteous, helpful, and knowledgeable. Thank you so much ! We appreciate you. Let us know if you need anything. I am a new customer with Pest Solutions and I am very happy with their service. They notify me of upcoming treatments and keep their scheduled times. When I have questions, there is always a friendly voice on the other end of the phone, not an answering machine! I have not had any pest problems since I began service. I would recommend them highly. Very professional and courteous! I have had this service this past year and I recommend them 100% .Bob who is the owner,has been so helpful and is willing to come out and take care of any issue never had any complaints. They always give you a reminder calls before their appointment. Best company for all your pest control needs. I am new to the area and called Pest Solutions of North Texas to service my home. Everyone I encountered has been extremely polite and very professional. I highly recommend them to all my North Texas neighbors. Kept us informed about chemicals used. Our future looks to be pest free. Very friendly. I have used other pest control companies in the past. And numerous ones would literally take no more than 10 minutes to treat the whole house, meaning they were not doing what they were paid to do. With Pest Solutions, I have seen them always doing the thorough job they are paid to do. Highly recommend. I was super pleased with our experience with this company. They were prompt, efficient, and explained the whole procedure. He spent a lot of time setting up the traps for rats, discussed why they did what they do and gave me some suggestions to help keep them away. When I called them to tell them that we had caught a couple, they sent a guy over in about 30 minutes to remove them and set up fresh traps again. Super great service at a very good price! They offered appointment times that fit my schedule and didn’t have to wait. Prompt and courteous service with good follow up. Great service and great people to work with! Highly recommend this company for all your pest needs. They have serviced our residence and commercial locations for over 3 years, they have always been prompt and attentive to our needs. My initial experience with this company has been wonderful. They are very kind and helpful, and the price is great. The serviceman came out the first time, explained everything, and was very thorough. Best of all, no bugs so far! I am very appreciative of their great service. Very professional and on time. No matter how many times I call with issues, they immediately respond and schedule a spot to resolve my issue. Very happy with the company and the service! Definitely recommend. My service and customer service reps were knowledgeable, efficient, and friendly! Excellent service and always reliable. Need not worry at all for anything. Just give them a call and everything will be taken care with follow up. I am very happy to have them. We are very happy with Pest Solutions of North Texas. Their service is excellent and thorough. Pest Solutions is a great company, I highly recommend them. They have always taken care of our needs. Awesome customer service and employees. Great service at a very reasonable price. Our tech was very friendly and informative, and since our treatment, I have seen NO bugs or ants! Pest Solutions will be my only pest control company from now on! Pest solutions is a superior family owned pest service . I been using them for a few years never had a service like them that bends over backwards when you need them and care . Thank you so much for keeping our home serviced against pests. Thank you so much for the wonderful review! We appreciate you ! Very happy with the customer service. The guy that came out explained everything to me was efficient and took his time address our concerns! From soup to nuts, stem to stern, Pest Solutions was top-notch. The phone rep explained everything, in detail, of the service provided. There were no surprises! My wife was home when the pest control specialists arrived, and had nothing but a positive experience. We thought we had carpenter ants, it turns out they are acrobatic ants. They can do flips, just kidding. I have noticed dead insects around the property already. Give these guys a call! Thank you so much for the great feedback, we appreciate you! Please let us know if you have any issues that we can resolve. Excellent company! I had asked for recommendations thru facebook and had been recommended Pest Solution and I couldn't be any happier. They had someone come out the monday after I called in to get our new house undercontrol. We had moved in with ants already being in the kitchen! They took care of both the inside and the outside of our house giving me a peace of mind of all the pests. Thank you so much Pest Solutions! You guys are so courteous and professional I appreciate it all. Pest Solutions have been great for the two years we have been with them. They are always extremely helpful and does a great job with our pests inside and out. Extremely kind & easy to work with. My two year old was napping & they stealthily treated my entire house (including his room) so quiet he never even woke up. Would definitely recommend! Great service! Thank you for your help!